Control your grubs if you want to maintain a healthy lawn and garden. Do this preferably in the spring, when last year's grubs emerge from the ground, or in the summer, when the second generation is small and easier to kill. Killing grubs will not only stop their destructive behavior, but also will prevent them from growing into beetles to continue their damage. While chemical grub killers work well, if you want to use a more organic treatment that you can mix at home, your best bet to eradicate grubs is to use nematodes, which are microscopic worms that enter the grubs’ bodies and kill them. Purchase nematodes that contain Heterohohditis bacteriophora from your local nursery or online. You will need about 1 billion nematodes per acre (1 million per 50 square feet). Mix the nematodes with water in a special spray bottle with larger holes or in a sprinkling can (both available at your local nursery). Do so at a rate stated on the label, usually between 1 and 3 tsp. per gallon of water. Spray or sprinkle the mixture evenly on your lawn. Do this immediately after mixing so you do not drown the nematodes. Water the area with about 1 inch of water to soften the soil so the nematodes can easily work their way into the soil where the grubs are. Nematodes usually come dry in packages or moist in sponges. Follow the package instructions if they came in sponges to extract them for use on your lawn and garden. Check to see if you nematodes are alive. Follow label instructions, but usually you can soak a few nematodes in water for about 10 minutes and pull them out with tweezers. Look at them under a microscope or with a magnifying glass to make sure they are alive, as evident by movement. 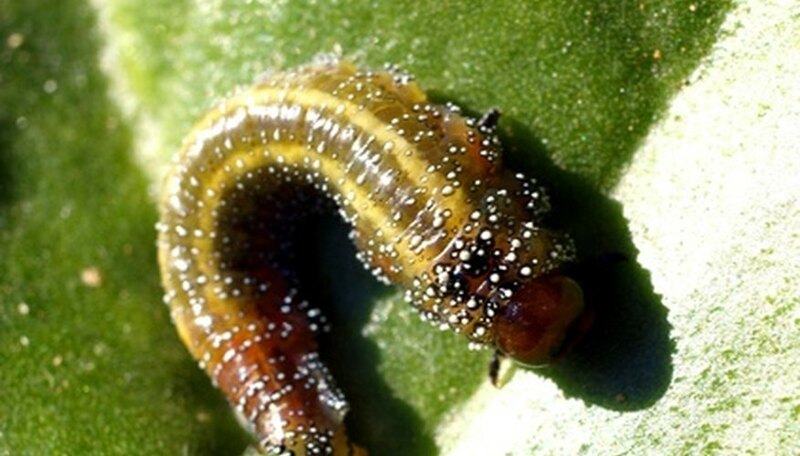 Cornell University, NYS Integrated Pest Management Program: Grubs in Your Lawn?